Ehler’s General Store is old-fashioned. The checkout counter looks like it did back in the day. The street facade is big and boxy, like you’d see in an old western, with “Ehler’s Store, Cornucopia, Wis.” written on it in thick, capital letters. There’s hardware, some clothing, a deli, and a grocery all under one roof. Like any great small-town store, it has a bit of everything. “What kind of place is this?” I wondered as I walked up and down the aisles trying to figure out what to eat for the next few days. Resupplying in small towns usually means buying a handful of Slim Jims, a bag of peanuts, and trying to make it work, but everywhere I looked, there was a stock of natural food alternatives sitting next to mainstream brands. Organic Ramen? Local produce? Heirloom beans? I felt like a kid again, back when my mom filled my childhood lunches with odd cookies that never traded well around the cafeteria table against Little Debbie snacks and Hostess cupcakes. “There’s no sugar in these!” she’d say. Now, I’d fill my boat with those cookies if I could. Instead, I picked up enough boxes of macaroni and cheese to get me to Duluth, felt a bit homesick, and added a quart of chocolate ice cream as a consolation prize. As I packed the boat, a guy asked me where I was headed and we got to talking. Then more people started showing up to the beach. Half an hour later someone handed me a plate and I became part of Cornucopia’s Monday night potluck. A woman led me around a picnic table, pointing out which dishes were vegetarian, which had dairy, and making sure I knew that the brownies were gluten-free, made by her daughter, and delicious. My plate filled with vegetarian enchiladas, an organic salad, a local chicken stir fried to perfection, spicy zucchini with a kick, a slice of melon, and a few of those brownies I’d heard about. I smiled, ate, and thought of old-fashioned Ehler’s General Store. Those shelves made more sense now. Get enough people together and you really can trade Little Debbie snacks and Hostess cupcakes for gluten-free cookies and an organic salad. Posted in Angle to Key WestTagged AKW September, Angle to Key West, community, cornucopia, corny, Ehler's General Store, gluten-free, natural foods, organicBookmark the permalink. 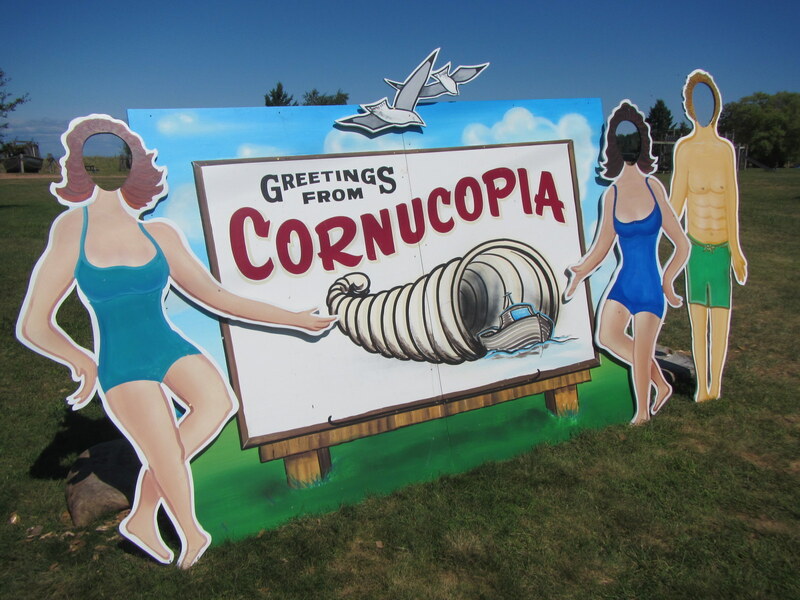 Very nice essay on the Cornucopia potluck. I was there…at the Corny potluck. Been following your stories ever since. Just got caught up tonight cuz I’d fallen a little behind. Can’t wait to read the next one and the next one… You’re an excellent writer. writer. writer. Something weird happened at the end of my comment. ‘writer. writer. writer.’? Safe travels down the Mighty Mississippi!